Injury-causing auto, motorcycle and truck accidents are an all-too-common occurrence in our part of Tennessee, with victims, including many visitors from out of state as well as local citizens. If you or a family member has been hurt due to someone’s reckless driving or other negligence on the road, we encourage you to contact us at Ogle, Wyrick & Associates, P.C. 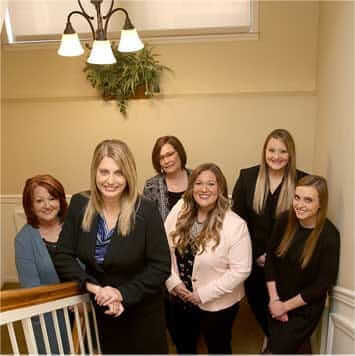 From offices in Sevierville, our attorneys advise and represent clients in communities throughout the Knoxville area and East Tennessee. We also represent those from outside the area who have a need for legal services in East Tennessee. Clients know that they can count on our firm being here to serve them for the long term, as we have been doing for over 50 years. Call us at 865-453-2866 or use our convenient email contact form to schedule a free initial consultation with one of our experienced Sevierville car accident lawyers. Personal injury and wrongful death representation after motor vehicle accidents is a long-standing strength for our law firm. Our Sevierville car accident lawyers pursue such cases with passion and rigor for people who truly need our help. We do not advertise these services on billboards or television, nor do we comb accident reports to generate business. This means your case will not be one of the hundreds. Instead, your recovery will be a genuine priority for our legal team. Depending directly on insurance companies for fair treatment after a serious car accident is a choice many people later regret. In addition to our legal knowledge, our reputation for diligence is a tremendous asset in dealing with insurers and opposing attorneys. When we are involved, they know the case has been carefully considered — and that they need to negotiate in good faith or prepare for trial. After a car, truck, pedestrian, bicycle or motorcycle accident in Tennessee, the legal counsel you choose can make all the difference in your financial recovery and life going forward. If you were hurt while traveling to visit Dollywood or another attraction in our area, you need skilled, trustworthy legal counsel. Our office hours in Sevierville are from 8:30 a.m. to 5 p.m. weekdays. Evening and weekend appointments are available by special arrangement. Free parking is available. If your personal injury will not allow you to travel to us, we may arrange to meet at your home, office or hospital room. Call 865-453-2866, or submit our email contact form with a brief description of your legal need. We will reply as soon as possible. We handle all car accident and other personal injury and wrongful death claims on a contingency fee basis. You will not pay attorneys’ fees if we are unable to help you recover monetary damages in a settlement or jury verdict.